Click Here to View Large Coops! Was 699.00 - Now $625.00 - Save $74 Today! Was 628.00 Now $528.00 Save $100 Today! "Atlanta Chicken Tractor & Run"
"The Rooftop Garden Chicken Coop" Just $499.00! Measures: 81.5L x 81.25W x 48H in. 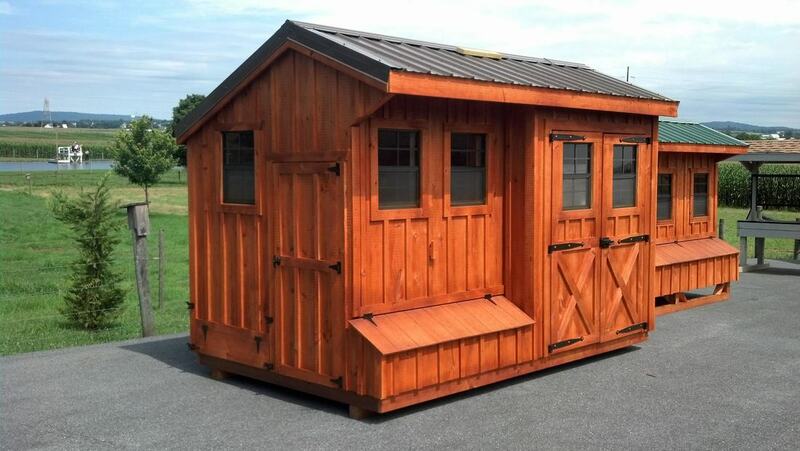 "The Farmhouse Coop and Run" Just $459.00! "The Terrace Poultry Hutch" Just $450.00! All lumber used is from a sustainable forest. 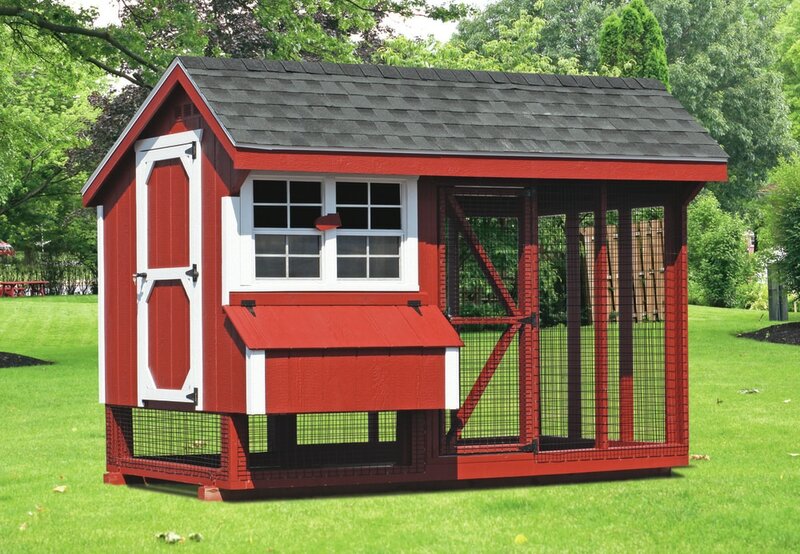 "The Prarie Home Chicken Coop" Just $279.00! Measures: 30L x 82W x 39H in.